The Penny Black stamp revolutionised comunications - and taught us lessons that some IT giants today are failing to learn. To begin this story, I’d like to talk about stamps. Not because I’m an ardent philatelist but because history always tries to teach us lessons despite our stubborn refusal to listen. Let us travel back to a dry and fairly modest Friday, 1 May 1840. The papers were full of typical fare, outrage at the scandalous carnival atmosphere of recent hangings, a notorious prostitute being charged with riotous behaviour, and tales of an enormous hog that measured over nine feet. It was also the day that Sir Rowland Hill’s reform of the postal service began with the introduction of the Penny Black. Naturally, postal services had existed before and the first custom-made stamps were created by William Dockwra in 1680. 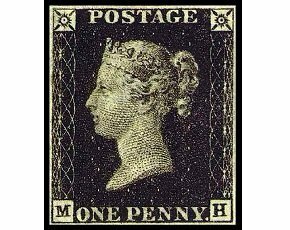 However, this simple, uniform and innocuous postage stamp – the Penny Black – resulted in a dramatic explosion in communication with the number of letters sent rising from 76 million in 1839 to 350 million by 1850. Why? Well, the Penny Black turned the act of posting a letter into a more standard, well defined and consequentially ubiquitous activity. Its introduction caused a spate of copycat services throughout the world, with the US introducing its first stamps seven years later. The 125 million pieces of post sent through the US system mushroomed to four billion by 1890. The industry expanded from stamps to street letter boxes (1858) to the pony express, railway deliveries (1862) and even international money orders by 1869. The humble stamp had changed communication forever. But the stamp wasn’t the only change to achieve such dramatic effects. Telegraph lines which later enabled the telephone which later enabled the internet have all led to corresponding rapid rises in communication. It seems we’re a very social species given half the chance. In all cases, it wasn’t the invention of the system but instead the system becoming more standard, well defined and more of a commodity that created the explosion of communication. Each time we’ve experienced this, we’ve also seen significant industrial change. The growth in postal services and telegraph lines coincides with the railway and steam engine era where diffusion of new machine concepts became rampant across the world. As communication improves, so too does the flow of ideas. Of course, the origin of steam engines began earlier in the first industrial revolution with another example of dramatic change caused by an activity becoming more standard, well defined and ubiquitous. In this case, it was the simple nut and bolt which Henry Maudslay’s screw cutting lathe had turned into an interchangeable mechanical component. Before this, one nut would only fit one bolt and interchangeability was a pipe dream. By providing mechanical components as more of a commodity, we saw a growth in new machine industries and consequentially new manufacturing processes. From the Plymouth system for manufacturing – which later became the Armory system – an entirely new method of manufacturing was started by the humble nut and bolt. But this pattern repeats with electricity. It wasn’t the innovation of the electrical battery – which we believe began with the Parthian battery sometime around 200 BC – that changed the world. It was the introduction of utility electricity with Westinghouse and then Edison which caused new industries from radio to ultimately Silicon Valley to form. The point of this tale is there is a simple pattern to change. It’s not the innovation of an activity that changes the world but, instead, when that activity becomes ubiquitous and well defined, whether postage stamps, mechanical components, electricity, currency or mass communication mechanisms such as the internet. It is through commoditisation that we experience a rush of new industry and new management practices. But commoditisation is not a smooth process. It comes in waves and often many of these waves overlap because of interdependencies. For example, the age of electricity was really the age of steel, electricity and engineering. Our economy appears to be governed by these waves of change which are regular in impact but irregular in terms of time – that is, we cannot predict with accuracy when they occur, only what their consequences will be. Their effects can be local to an industry or in some cases macro-economic in size. These largest waves, often referred to as Kondratiev waves, we tend to call the "ages" – the age of electricity, the age of railroads and so on. Each wave is driven by a process of evolution which itself is driven by competition between users and suppliers. This why the general effects are almost always the same – a once innovative activity becomes more of a commodity and a component that enables new higher order industries to develop creating new innovative activities. And so the cycle repeats. Interchangeable mechanical components beget steam engines beget utility electricity beget modern electronics beget the internet. Each wave also contains three distinct phases. It starts with a time of "war" when new entrants commoditise an industry precisely because they’re not encumbered by an existing business model. This is a time where disruptive change exceeds sustaining measures and once-great companies fail. The war is quickly followed by rapid growth in new industries built upon the components produced by these new players. This is a time of wonder and amazement. After the wonder subsides, a time of peace begins. Here, sustaining change exceeds disruptive change and those new industries settle down forming the next set of great companies. These companies will dominate a space until the next wave and their eventual demise begins. What controls these stages is inertia, both user and vendor, to change. Those companies that developed in the growth phase to become dominant players in the "peace" phase also build up huge inertia to change because of their past success. It’s why those companies are disrupted in the phase of war and why we all gasp: “But Kodak / Blockbuster / add your favourite was such a successful company once”. Of course, our gasping in amazement of failure is overtaken by our gasping in amazement as the new growth phase enables new industries to form. In the electricity age, Nehemiah Hawkins' commented on how it brought about the dream of magic from electric lights to radio to telephone. In the internet age, we saw the growth of companies like Google, Apple and Amazon. Today, with the commoditisation of IT through cloud and the rapid changes it is bringing, we stare with wonder at a 13-person company being bought for $1bn – that’s just, "amazing". Competition begets evolution begets past history begets inertia begets disruption begets wonder begets another wave of change. The consequences of this are the changing nature of work, the disruption of past skills, the fears over what people will do – from Hawkins’ concerns that electricity would lead to mass unemployment and strife for the average worker, to the arguments over classification of the abundant new forms of data from Cutter vs Dewey to NoSQL vs SQL are all part of the same cycle. We live in a world of situation normal, everything must change. In business, one thing we have to be mindful of is our inertia to such change. Attempts to recreate the past rather than adapt to the future can be found sulking behind the deaths of many great companies. For example, when your business revenue is stagnating, a "peace time" strategy is to reduce costs to regain profitability. That’s fine if your industry is in a peace phase of the cycle. But, if instead your activities have evolved to more of a commodity and a war phase has started, then such cost-reduction strategies are often fatal. As any general will tell you, if your lines of redcoats are being outgunned by a smaller guerrilla force then cutting down the size of the army won’t make things better – you’ll just lose the war faster. The problem is your strategy and techniques– those lines of redcoats may have worked in the past but no more. You must adapt. That’s the tricky thing about management strategies – what works well in one phase is often fatal in another. This is why many in the hosting industry will not survive the onslaught that Amazon, Google and others are creating in the cloud computing space. Even great companies like Microsoft struggle with inertia and past success. I would suspect it is a testing time for its CEO because on one hand the company has a successful past that its culture celebrates, but on the other hand the past business models are in danger of demise. Adapting to the new techniques of growing ecosystems based around commodity services and exploiting open source as a tactical weapon are not options but a necessity for survival. In our modern world, even the old stalwarts such as Porter’s three strategies are long gone, replaced with companies such as Amazon using ecosystems to become simultaneously innovative, customer focused and efficient. While parts of Microsoft are clearly adapting with the recent creation of an open source entity and its steps into the cloud, other parts still fall back on old techniques such as the recent exposure of lobbying efforts in the UK open standards consultation. Open source is not the real enemy of Microsoft today, instead "old" Microsoft is. The past rarely goes quietly though because it has all the evidence to show you how good it was whereas the future – well, that’s just gut feel. Failing to deal with this past is lethal, ask Kodak. Despite its early leadership in digital cameras, it was a combination of poor management and inertia from past success that dragged the company down. You can blame markets, culture or anything else which makes it more palatable, but the buck stops with the CEO. In times of "war" it’s their job to see the storm that is coming and lead a company to new pastures despite the company’s insistence to stay put. While the biggest enemy to a company’s future survival is its own past success, this can be reinforced by financial markets and analysts. Despite the illusion of risk taking, they tend to be a pretty risk-averse bunch and so even if your strategy is near to perfect any flaw in execution will be seized upon and emphasized. As in the case of HP, its CEO, Leo Apotheker, was ousted because of poor execution magnified by external pressure and a board that buckled too quickly. Equally, you can push it too fast. Ask NetFlix CEO Reed Hastings who had to pull back from the right strategy of dividing NetFlix - well, at least for the time being. From the postage stamp to electricity to the internet, there’s a long, long list of great companies that failed to adapt to the new world that was created around them. So, will Microsoft be among that list? It all depends upon the CEO, Steve Ballmer. If the culture isn’t dealt with, if Microsoft fails to adapt, if the board buckles to external pressure... well, lots can go wrong. If it didn’t then great companies would never die. Simon Wardley is a researcher for CSC’s Leading Edge Forum, a global research and advisory service for CIOs and their teams. His latest research project is entitled Competing in an Open World.